Baptism is a special moment for baby and her or his parents does. Nowadays you may hold the party in your house. So what should you do prior to the party? First, decide the place where you hold the party. It is important since you have to prepare all the stuff well. Second, write down a list of people to invite to baptism party. 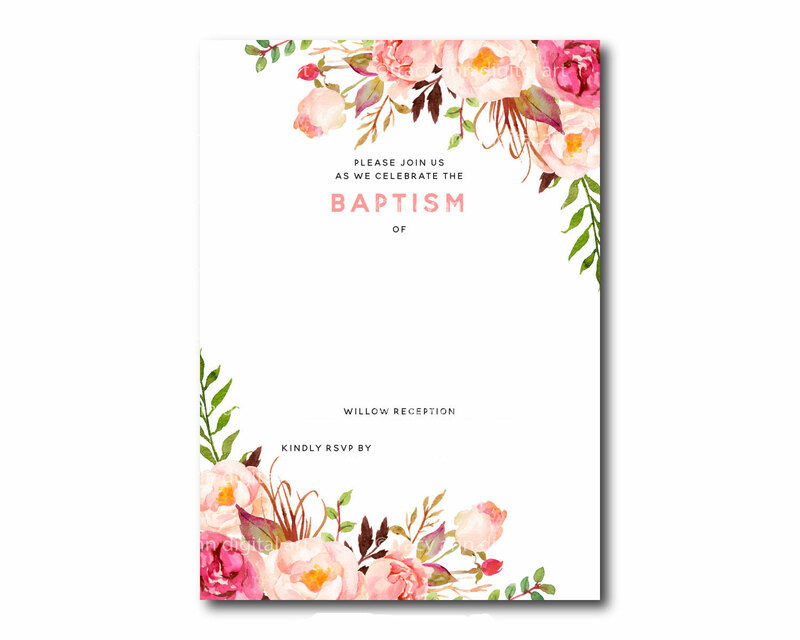 Choose an invitatiom card that sets your baptism party. Birds and floral are some of people’s favorite. The example is on this free printable bapstism floral invitation template. It has bright color and pretty design. Actually there are lots of designs you can find here. This free printable template is easy to use. It comes in two formats, JPEG and PDF. Both of them give sharp image as the file looks. The difference relies on the printing speed. You get a flas speed when using PDF. It just because you may set the number of cards in the paper and resize the picture. Originally, it has 5×7 inches in size. You are free to have smaller or bigger invitation card. After finishing all the cards, fulfill them by giving the date, time and place. Use colorful markers to beutify your invitation cards. Prepare delicious dishes for your guest. Let them taste it during the party. Then, giving keepshake after the party ends would be recommendee for you.